Maker’s Asociate is a trusted and reputed name in the field of manufacturing and supplying fountains and waterfalls since 2000.Rendering fanciful and rich pieces of art appropriate for every sort of organization and patronage is what we aim at.So let us beautify your ambiances and increase your growth of business as a whole. As a renowned name since past 20years Makers Associate is committed in accommodating satisfactory services by creating Fountains for need of each and every client aiming being skillful and creative at same time.A unique amalgamation of technology using the perfect Accumulation of water, affluent shade of submerged light fitting, color, music and selective designs. We have focused on the thing that Client Satisfaction is the ultimate virtue being efficient and streamlined at same is a must. We have a finesse in our structures creation thus making you satisfied. We are a reputed name in the field of creating Fountains and Misting And Fogging System, Stainless Steel Sculpture. Quality assurance and Maintenance of our systems is a must on which the team of makers focuses. Advanced technology and Uniqueness in style, shape, designs and colors. To be a leader recognized globally in the field of manufacturing and designing fountains and waterfalls. Have a client area from all over the world and letting our business growth increase and reach to peaks. 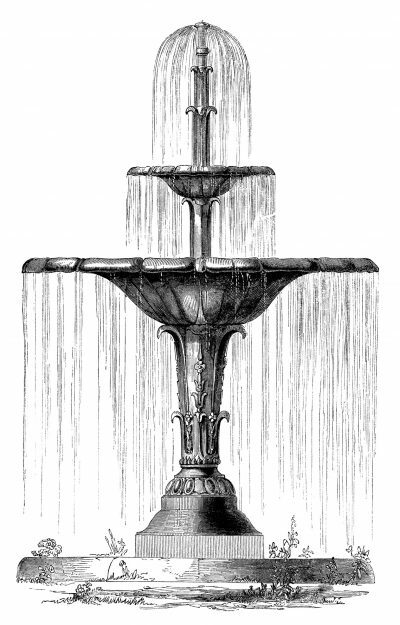 WE CATER EXCEPTIONAL ARCHITECTURAL FOUNTAINS!